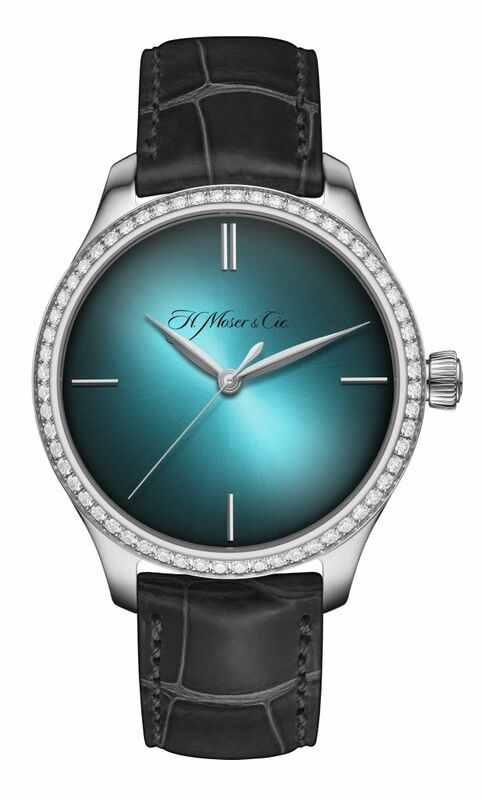 The case, in stainless steel, measures 38mm x 10.3mm. 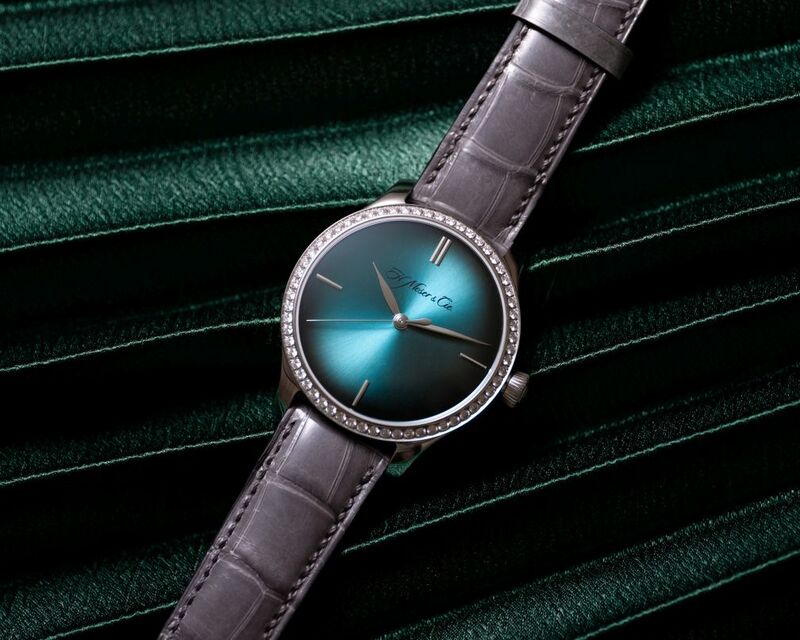 The bezel is set with 60 brilliant-cut diamonds (1.13 carats). It has double sapphire crystals. 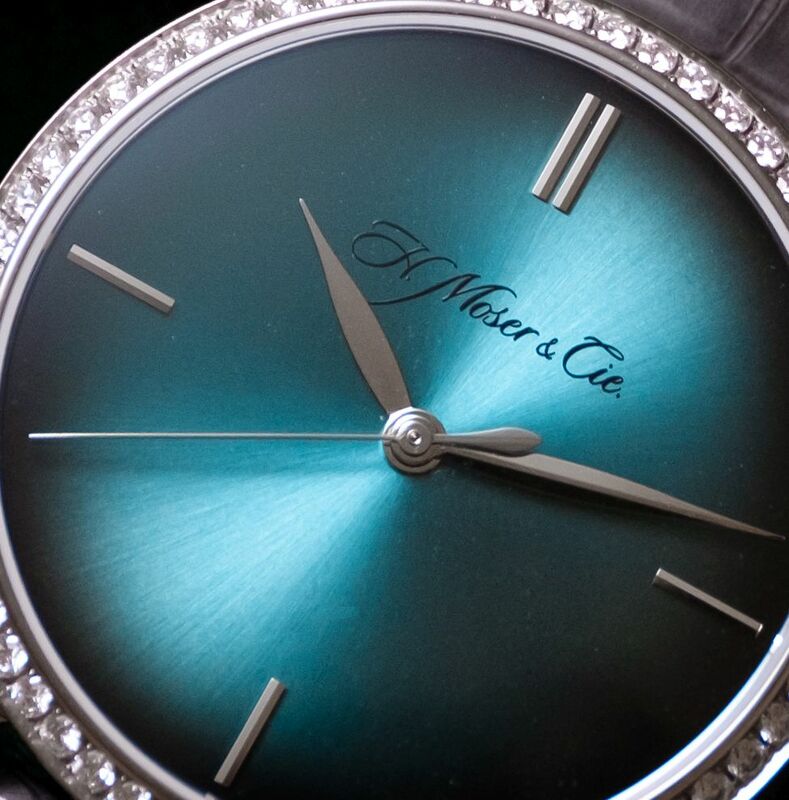 Movement is the Swiss automatic Moser in-house caliber HMC 200 with 27 jewels, 21,600 vph and a power reserve of 3 days. 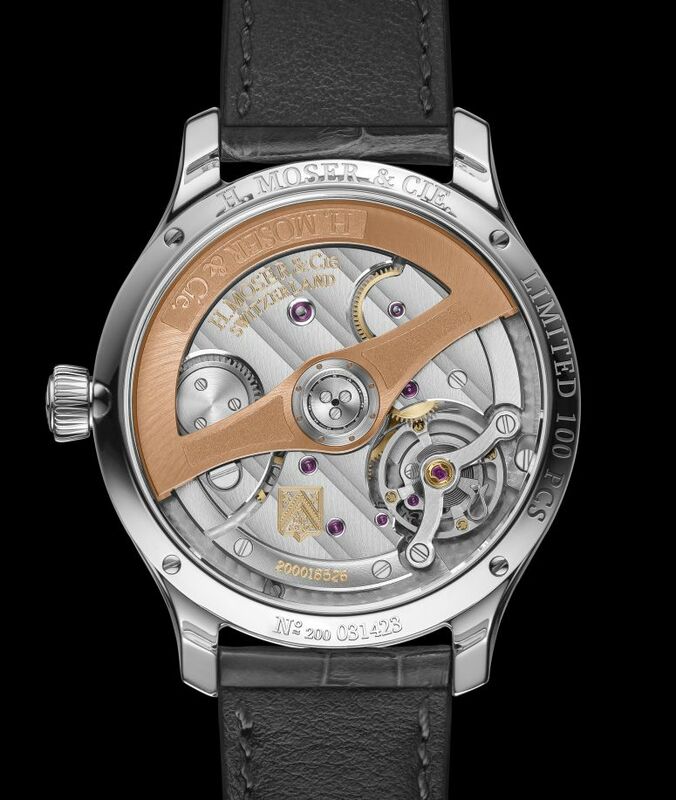 It features a bi-directional pawl winding system, an Original Straumann hairspring and a solid gold rotor. It is finished with Moser stripes. Functions are: hours and minutes, and central seconds. It has a blue lagoon dia. with sunburst pattern. Leaf-shaped seel hands and applique indeces. It comes on a hand-stitched grey alligator leather strap with an engraved steel buckle.